A stylish and reliable indoor air quality monitor. It's perfect for someone seeking a monitor to complete a smart home. Someone that seeks to remain WiFree would be better served with another model. The Awair by Bitfinder is one of the better known names of indoor air quality monitors. This is because they were among the first to market with a consumer air quality monitor. It’s a very capable monitor with a good reliability record. The Awair comes with a VOC sensor, PM 2.5/1.0 sensors, CO2 sensor, hygrometer and thermometer. It is also a smart device that connects to Google’s Nest, Amazon’s Alexa and other IFTTT devices. In addition, it’s also controllable via mobile using both Android and iOS devices. The included mobile app provides numerous actionable insight and personalized tips based on the data about your home’s air. This makes it perfect for buyers who are new to air quality monitoring. You can learn all about each data point and how you can improve the air quality in your home. The device’s connectivity enables it to control other smart air quality devices in your home to suit the prevailing conditions. For example, it can turn on an air purifier in response to high VOC readings. Of course, you can customize this to your own liking. The center of your interaction with the Awair shall be the accompanying mobile app. This shows all the realtime air statistics of your home. This is in addition to the insights and tips I mentioned earlier. The LED display on the device itself employ a code system to indicate current air quality levels. It’s a simple system using red and green codes and you will quickly learn to tell good air quality from bad. You have the ability to connect several Awairs to the mobile app. They can be placed in the same home or one at the office or the other at home. This makes it possible to place several Awairs in different rooms of your home to ensure consistent monitoring of your entire house. The unit is very sensitive to changes. Even seemingly innocuous actions like making the bed or just entering the room show changes in PM 2.5 and CO2 levels respectively. You will soon notice so much about the air around your home with the Awair. The solid reliability of the Awair over time edges it for us as a big player in the air quality monitor game. Given the many reliability issues other units face, this is major positive. Its monitoring abilities are also very good for a consumer device. 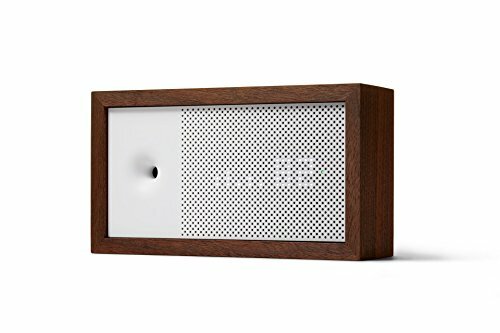 This is a perfect device for someone that needs a smart air quality monitor that just does the job like it’s supposed to. If you need a device that works without connection to WiFi however, this isn’t the device for you. Click here for a comparison with other air quality monitors.